How “real time” do you need to turn in your reviews/articles/blog posts? The person who packs a couple of suitcases and travels to resorts located in larger towns & cities (with consistently adequate access to the internet) is a different traveler than one who prefers the off-the-beaten-path allure of remote villages and a carry-it-all-in-a-duffel attitude. Likewise, staff writers who are expected to post updates and articles “from the field” will have different needs from a freelancer who jots notes and submits their final completed review when they return home from a trip. My brother and I are perfect examples of these two extremes. I like the all-inclusive resorts and can’t bear to be parted from my laptop computer. He takes off for six months at a time to do long-distance backpacking hikes. We both post updates on our travels from the road, we just do it using different tools & methods. Hopefully this information will help you decide which tools & methods are best for you. - You don’t need much beyond a journal (with a waterproof container) and a few pens/pencils (and a pencil sharpener), however, I encourage you to invest in a good, but lightweight camera capable of taking both still shots and video, and a few extra memory cards. If your publisher has to wait until you get home to get your articles, they will be more valuable (and worth the wait) if you can supplement the text with gorgeous photos and some video content as well. - If you NEED to post from the road, consider using PocketMail – this is a terrific, but still very small device (about the size of a case for your sunglasses) that allows you to send email from anywhere you can get telephone access (you pay a small amount for monthly service as well). They also have an attachment for Palm PDAs if you already have one of those and don’t need the handheld device. 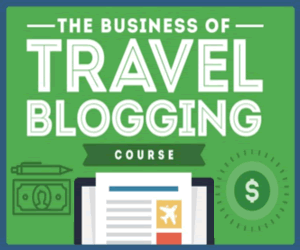 Many blog platforms feature the ability to post blog articles via email, so this can be a super-lightweight solution for those who can’t (or don’t want to) travel with a computer, or for those who regularly travel to areas that have phone, but no internet, access. - The PocketMail device mentioned above is a great solution if all you need to do is submit blog posts & articles, which you can do via email. The more expensive of their two handheld devices ($99 vs $49) also features a to-do list app, a calendar, a memo pad, and a calculator. Both will also function as a clock/alarm clock as well. - the HP Jornada (under $250), which adds web browser feature, as well as some basic applications (such as document processor) but still limits your internet connection to a modem (phone line). It’s a workable solution if you have to submit your articles via a website interface, as you can write in the document processor while offline, then connect via the modem, submit your article using the web browser, and then disconnect. It also has a USB port, so a thumb drive can transfer your text document to a public computer for those occasions when you can get high-speed public internet access (such as a library or internet cafe), which can often be less expensive than a phone call. - Even better (and only slightly more expensive) is the Asus Eee PC 4G Surf, (under $350) which built in wireless and ethernet for additional access options, substantially more memory, mic-in and audio-out jacks (so you can listen to music or use a headset for Skype calls) and a solid-state drive (the Jornada uses flash memory for storage, although you can add CompactFlash memory to increase the base amount of storage). - There are a number of lightweight laptops that work well for typical needs while traveling. They may not replace your workhorse desktop at home but they won’t weigh you down. - If you’re not ready for the ease-of-use that the Mac offers, Lenovo (formerly IBM) has a nice lightweight offering – the Thinkpad X61 Tablet. It has a slightly smaller screen dimension/keyboard than the MacBook Air, and weighs about about the same, but can be priced less unless you choose additional memory or hard drive options. - If you’re carrying a laptop, be sure to have an extra connector kit with the cables you’ll need to connect if there is no wireless internet available – an ethernet cable and a modem cord. A good connector kit should also include a small ear-bud-style headset so you can use your laptop to make VOIP calls, and to also record audio notes to accompany your video/photos, or just to describe your trip. - If your camera doesn’t use a typical firewire/usb cable to connect to your laptop (some don’t), but they use the little memory cards, you can get a USB smart card reader to transfer photos/video to your laptop. All Travel Writers should be sure to have (as mentioned above) a good, lightweight camera that takes both still shots and video, along with extra memory so that you don’t miss that great shot because your camera is full, but if you write for print publications, you’ll need to make sure your camera is capable of the very high resolution shots needed for printed media. 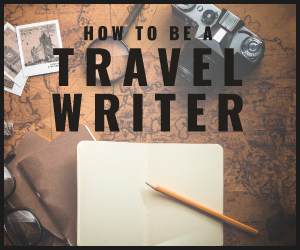 I’ll also be writing occasional blog posts about gadgets that I find and want to recommend, but these few tools will get you started down the road to becoming a professional Travel Writer.